Lots of interesting discussions so far on the Community about Scotland's wonderful islands, so thought it was time I added something about two of my favourites - the islands of Mull and Iona. You can take the Calmac ferry from Oban to Craignure on Mull which takes about 45 minutes. Once on the island, you can set off on what must be one of Scotland's most scenic drives around the coast of the island. Many of the roads are single track, but that gives you all the more time to enjoy the land and seascapes of this spectacular island. If you drive along the south coast and you will come to Fionnphort where you'll have to leave your car and board the foot ferry which takes you across to the Isle of Iona. I was last there in November on what turned out to be a beautiful mild and sunny day - blue sky, crystal clear blue water and white sand - I honestly had to pinch myself to remind me I was still in Scotland - just amazing. Iona is a very small island but a wonderful calm and almost spiritual feel to it - not just Iona Abbey but the whole island. You really do feel close to the natural world here - very special. Following the Iona visit we continued up the west coast of the island admiring stunning coastal scenery and spotting dozens of Highland 'Coos' as we went. We stopped off for a bar supper in the picture postcard town of Tobermory with it's cute, colourfully painted waterfront houses. It was turning dark as we arrived back at Craignure for an overnight and we saw the most gigantic orange moon in the sky, also reflected in the sea. It really was a tremendous experience. Mull really is one of the jewels in Scotland's crown and a must-see for any visitor. Thank you @Xmasgirl for that beautiful description of your experience. It make me want to go there right now. Welcome to the community. It's so helpful to get a first-hand account of people's experiences. That blue water is so inviting. I will definately put Mull and Iona on my list of must-see destinations. I went as far as Oban a few times but never across the water!! Tobermory looks fantastic in the pictures I have seen and you can see why the BBC chose it as a location for its children television series Balamory - very pretty and colourful! 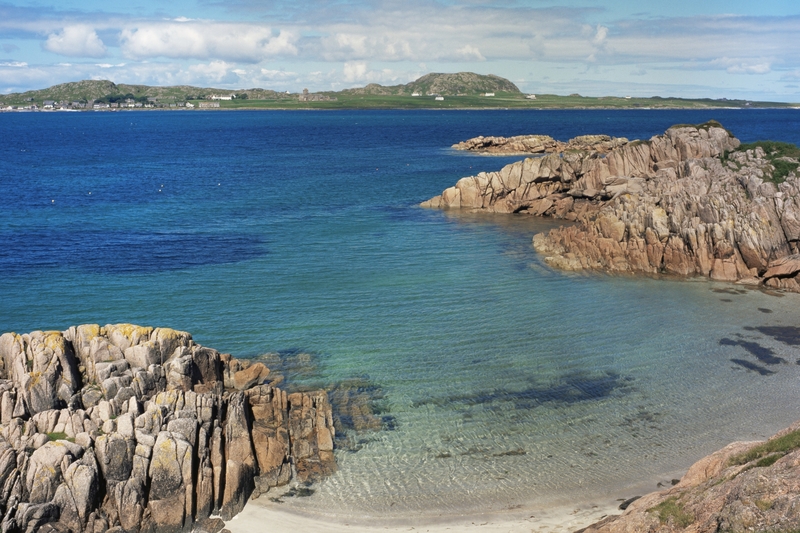 I adore Iona - what a beautiful place to go to. Apart from visiting the abbey and the graveyard it is good fun to look for small pieces of green Iona marble on the beaches. And when you come back to Mull take the road on the West Coast of the island to go to lovely Tobermory. The views are breathtaking! Hoping to experience this myself in the months to come.